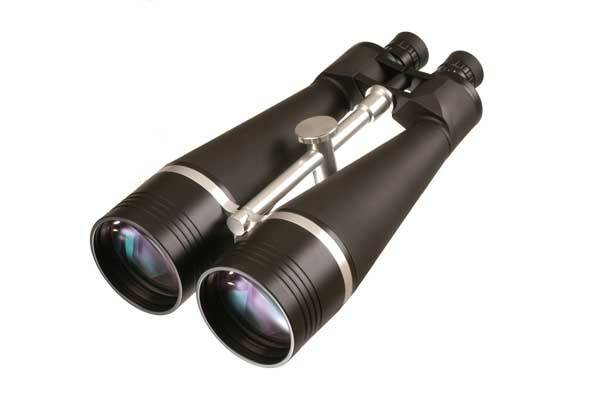 High quality waterproof observation binoculars, with individual eyepiece focussing, designed for long-range terrestrial and astronomical observations. Incorporating BAK-4 prisms and a fully broadband multi-coated optical system. Features a central stabilising bar with sliding tripod adaptor, for optimum balancing on tripod. High-precision construction using CNC machined metal components. Finished in Black Rubber and supplied in foam-lined Aluminium storage/carrying case. 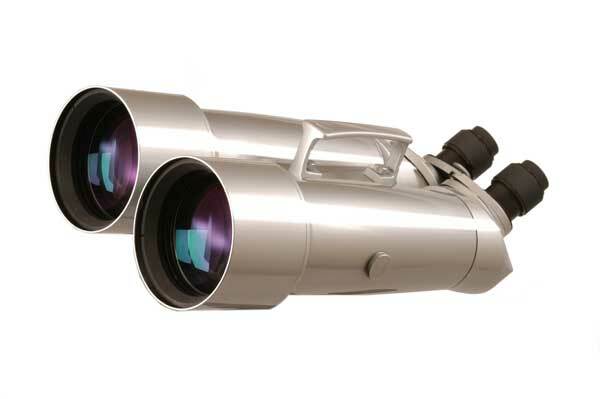 Top-quality waterproof observation binocular with individual eyepiece focussing, designed for long-range terrestrial and astronomical observations. Incorporating oversized BAK-4 prisms and a fully broadband multi-coated optical system. Top quality triplet objective lenses. Supplied with two pairs of eyepieces. Eyepieces are angled at 45º , offering excellent versatility for both terrestrial and astronomical viewing. Features carrying handle, built-in lens hoods and trpod adaptor. High quality precision all-metal construction. Supplied in foam-lined Aluminium storage/carrying case.